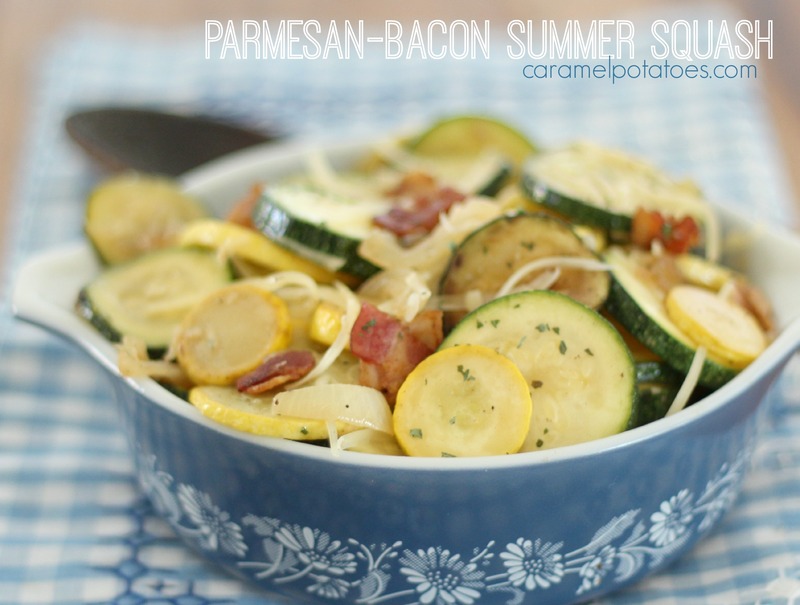 If you’re still looking for another way to use up your squash, be sure to add this Parmesan-Bacon Summer Squash to your menu. 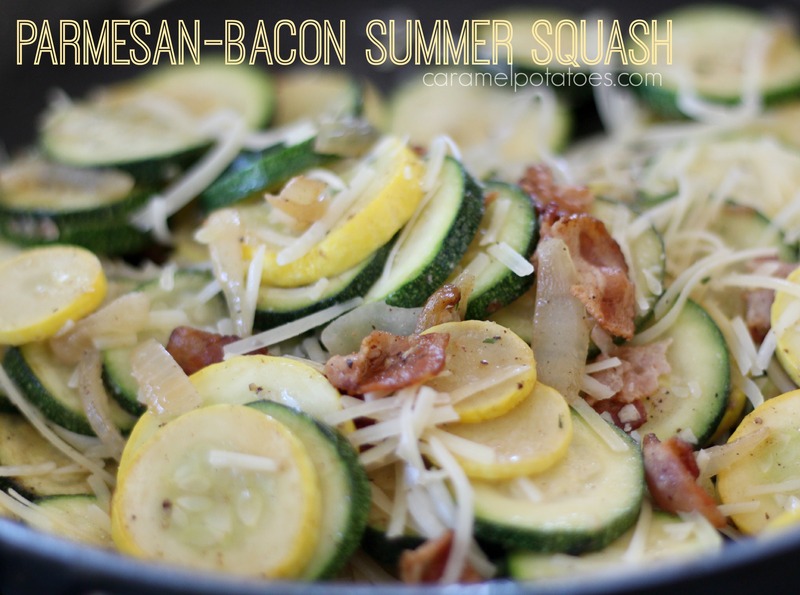 It will turn those beautiful squash into a savory side dish you’ll want to make again and again- of course you will, it’s cooked with bacon and topped with Parmesan – what’s not to love? All you need is one pan and about 15 minutes for a beautiful dish that goes with just about anything you’ve got on the grill! In a large skilled, cook the bacon until crisp. Remove with a slotted spoon to a paper-towel lined plate. Leave about 2 tablespoons bacon grease in the skilled. Add garlic, salt, pepper, basil, and oregano until combined. 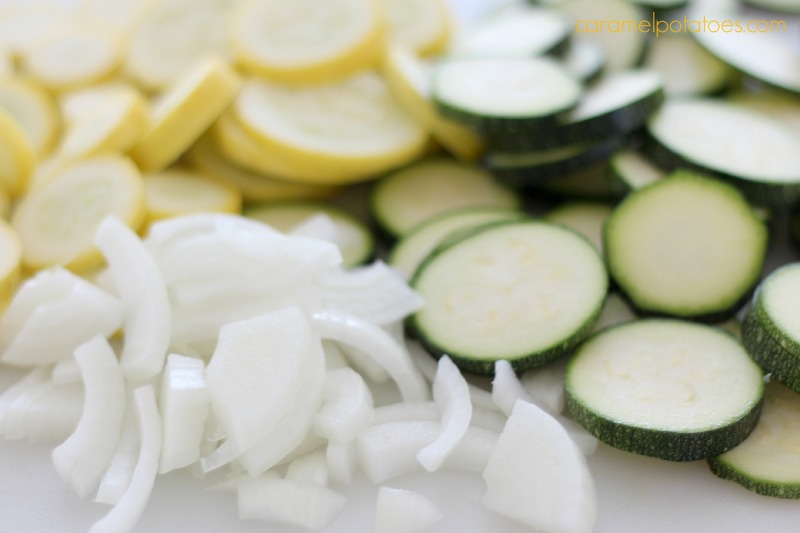 Immediately add the squash, zucchini and onion. 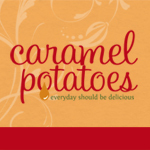 Cook, stirring frequently until veggies reach desired tenderness – I like mine soft, but still a little crisp. Sprinkle with Parmesan cheese and serve immediately.